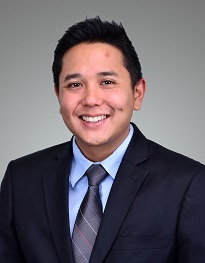 Matthew joined Rajah & Tann as a trainee in 2011 after graduating from SMU, and have been with the Restructuring & Insolvency practice ever since. Matthew’s practice spans both contentious disputes (commercial litigation and arbitration) and general advisory work. He has advised and acted in both domestic and cross-border disputes, liquidations and restructurings. He also specialises in joint venture and shareholders’ disputes, providing clients with strategic advice with a view to obtaining the most commercially sensible and desirable outcome. Employment law is another significant practice area that Matthew have been heavily involved in, focusing on advice on restraint of trade clauses, termination of employment, misconduct and breach of fiduciary duties. As a result of the recent downturn in the shipping industry, Matthew’s practice has expanded to advising on the insolvency implications in shipping-related disputes and restructurings. Notably, he assisted the Supreme Court of Singapore as amicus curiae in a landmark decision on the registrability of contractual liens in charterparty contracts (Cameron Lindsay Duncan & Anor v Diablo Fortune Inc  SGHC 172). Acted as Singapore counsel for the lenders in the global restructuring of Danish shipping giant Torm A/S with a debt of close to US$2 billion (the deal was nominated for the IFLR Restructuring Deal of the Year (Europe) in 2013). Advised the bank lenders in relation to the debt restructuring of First Ship Lease Trust, a public listed shipping trust with total debt of around S$480 million. Advised a physical supplier against various foreign OW Bunker entities and ING Bank in relation to US$12 million of bunker supplies in the wake of the global collapse of the OW Bunker group . Advised various banks (local and foreign) on factoring and receivables purchasing agreements in Singapore. Advised a substantial shareholder of Cordlife Group Limited on corporate governance issues and successfully strategising a sale of the shares at more than S$40 million. Acted for a bank in relation to the restructuring of the China Fishery group, a global industrial fishing company listed in Singapore with a net asset position of US$2.4 billion (International Deal of the Year at Asialaw Dispute Resolution Awards 2017, Finance Deal of the Year: Restructuring & Insolvency at the Asia Legal Awards 2017, nominated for IFLR Restructuring Deal of the Year (Asia) in 2017). Advising a physical supplier on issues of credit and security in relation to the insolvency of Universal Energy, the third-biggest marine fuel oil supplier in Singapore. Advising a local bank on issues of credit and security in relation to the debt restructuring of a marine support services and vessel chartering company with a total debt of around S$450 million. Advising on local insolvency issues in relation to the global restructuring of Seadrill Limited, a leading offshore drilling contractor with worldwide operations. Advising a listed company, International Healthway Corporation Ltd, on cross-border operational issues and disputes post-acquisition by the OUE Group. Advising a foreign bank on issues of set-off and security in relation to the restructuring of Noble Group Limited and its companies. Advised in a shareholders’ dispute involving the Metalform Group of companies in an SIAC arbitration. Acting in a shareholders’ dispute involving Taiwanese, Italian, Luxembourg and Singapore companies in an SIAC arbitration in relation to a solar power plant investment in Italy. Acted as Singapore counsel in a HKIAC arbitration involving a shareholders’ dispute relating to an investment in a delisted Singapore precision engineering company and obtaining a successful exit for our client. Acting for a Indonesian client in a shareholders’ dispute relating to a vessel-owning marine logistics Indonesian company and defending a claim from a listed company in Singapore. Acting for a Vietnamese company in a shareholders’ dispute in relation to a pharmaceuticals joint venture against a listed company in Germany in an SIAC arbitration. Acting in a High Court suit for an ISO-certification company against a former shadow director for breach of fiduciary duties and obtaining a favourable settlement. Acting in a High Court suit for a manufacturing company against former employees for breach of various restrictive covenants and obtaining a favourable settlement. Advising various medical technology and pharmaceutical companies on restraint of trade clauses. Advising a listed healthcare company on employment issues related to corruption, misconduct, and disciplinary procedures.